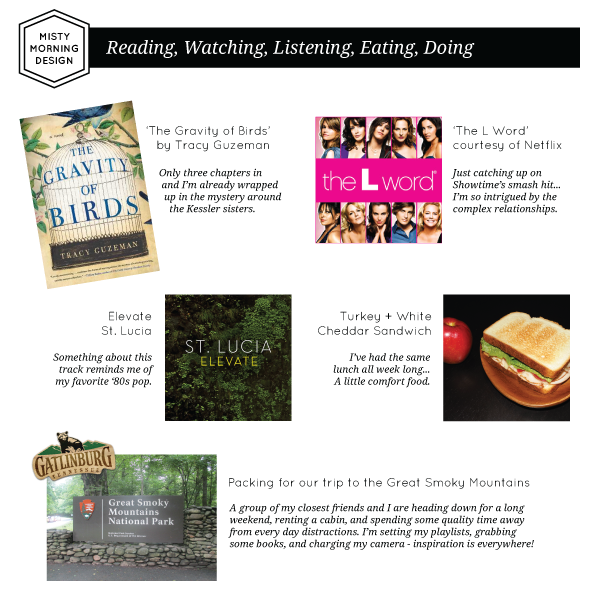 As this blog continues to be a place for me to document my thoughts, projects, and life happenings, I thought it would be fun for me to capture the variety of things I am currently reading, watching, listening to, eating, and doing. A sort of snapshot in time of my current interests. What about you – what’s been important to you this month?